A A Milne died in 1956, seven years before the introduction of the measles vaccination. 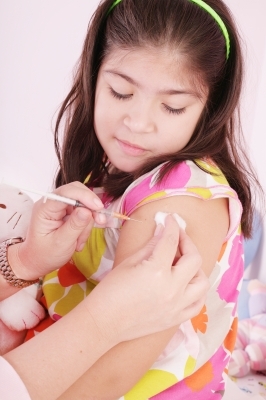 In 1988 the MMR (measles, mumps and rubella) vaccine was introduced, to protect against three significant childhood diseases in a single combined vaccination. A subsequent booster jab was found to provide nearly 100% protection. A decade later the MMR vaccine came under close scrutiny with the publication of the findings of a small study of 12 children, which revealed a potential link between the MMR vaccination and autism and bowel disorders. The scientist responsible for this controversial research, Dr Andrew Wakefield, published an article in The Lancet recommending that the MMR vaccines be administered separately to avoid any risk. With a group of impassioned parents of autistic children championing his theory, the story could not fail to make the headlines. Since then, Wakefield’s claims have been discredited by subsequent research studies, but the impact of his work on the public’s consciousness has been far reaching. Only this week, the news of a measles epidemic in south Wales affecting over 750 children (those aged between 10-18 worst hit), has been top of the health news agenda. Although Wakefield’s credibility has subsequently fallen on stony ground, the Welsh outbreak reminds us that efforts to allay people’s concerns about MMR have been insufficient. For many parents, who perhaps recalled the thalidomide scandal, the persuasive testimonials (backed by a report in a serious academic journal), were sufficient to convince them that the MMR vaccine posed a greater risk, than protection for their offspring. In reality an astonishing 16 youngsters died of measles the year before MMR was introduced. The NICE target is for 95% of the population to be immunised to gain ‘herd protection’, but the measles statistics speak for themselves, with over 2000 cases last year – four times the number of cases than in 1998, when Wakefield’s findings were first published. In Wales the finger of blame is wagging at the South Wales Evening Post for reporting the concerns of parents back in the late ‘90s. But this does rather smack of shooting the messenger and potentially alienates an important ally in the war against inoculation avoidance that needs to be fought. A programme of emergency clinics is now underway in south Wales, but in addition, it is now expedient to address the misconceptions about the risks of the combined MMR vaccine, as well as general ignorance and apathy towards childhood inoculations on a national scale. As with any successful communications campaign, propaganda alone will not cut the mustard. A thorough understanding of audience and current perceptions, effective communications channels and influencers needs to be mapped out. Consistent messaging needs to be disseminated across a comprehensive network of health visitors, nurseries, childminders and schools to ensure that no-one slips through the net. Crucially, the healthcare professionals interacting with parents every day need to be ‘on message’. How many organisations forget to adequately engage their staff before going ‘public’? Competing priorities, budgets and bureaucracy will have to be negotiated to get the right resources in place; but doing nothing may result in the newspapers having a fresh headline – the death of a child who could have been protected with a simple jab. Emotive issue, especially as children are concerned and they are ‘our’ responsibility. Hoping lessons about knowledge, as against propoganda, can be learnt. My particular interest is in ‘orphan’ diseases. Say the word ‘cancer’ and the NHS pumps up the gas. Lesser known,but equally devastating diseases need a voice. Until a celebratory makes the headlines with that disease small pockets of support groups are struggling to fund raise for research and recognition.